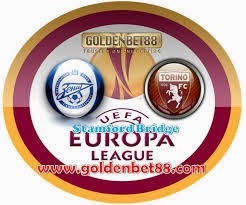 I see Zenit taking the win here in the first leg of the Europa League last 16 teams against Torino. Torino lost with 3-2 last round in Serie A away at Udinese, but they did a good job in the previous round of the Europa League to defeat Athletic Bilbao from Spain after 2-2 at home and a 3-2 win away from home. Just that Zenit is very strong at home this season, they have defeated PSV with 3-0 here in the return leg after also winnning with 1-0 the first leg and my bet in this game is going to be on home win.